The whole DevOps movement has been missing an important piece, according to HashiCorp, with too much emphasis on the tools and not enough on the overall workflows that require developers, operations and security teams to work together as part of an application delivery process. “[Releasing software faster] is more than just focusing on Agile and making developers more efficient,” said Armon Dadgar, co-founder and chief technology officer. That’s the reasoning behind the company’s focus on workflow processes. “The view we take it that it’s not about the tooling, it’s about this process of the development, operations and security groups together. It doesn’t matter if we can deploy in 5 seconds; the security people have to be onboard and integrated,” he said. It’s been focusing its tools on the three groups, including Vagrant to manage development environments, Packer to build images, Terraform to provision images, Consul to connect and monitor applications, Nomad to deploy applications, and Vault to secure applications and infrastructure. “We believe there’s a broad range of problems within these three areas and too much attention is being paid to tools, and usually only within the developer category. You really have to expand that scope and look across this whole thing and look at this process from a workflow perspective and not necessarily from a tooling and technology perspective. Tools and technology are there to support the process,” Dadgar said. It’s been a busy year for the San Francisco-based company, founded in 2012. It has grown to 50 employees; it had just six two years ago. In August it named as CEO David McJannet, a VMware, GitHub and Hortonworks alum more recently Executive in Residence at Greylock Partners. Co-founders Dadgar and Mitchell Hashimoto became co-CTOs. This week at HashiConf, the company announced $24 million in a Series B funding round led by GGV Capital, bringing its total funding to $34 million. It also announced general availability of Vault Enterprise, based on its open source security software that approaches security at the application level. It reports weekly open source downloads are up 125 percent in the first six months of the year, with a user base that includes the likes of Stripe, Uber, Twitch, OpenAI, Pinterest, and Capital One. It also maintains a range of partnerships, including VMware, Microsoft and Google, and integrates with more than 800 different technologies, Dadgar said. “We have customers managing F5 load balancers with VMware and customers managing AWS Lambda functions in the cloud. These are very different worlds, but they’re managing it through the same workflow,” he said. The trick is to really understand the workflow challenge and build the core from that, then create a system that’s modular and open source, and leverage the community. In June, it acquired Vektra, which provides multitenant cloud logging, but also works closely with other logging vendors. Also earlier this year, in what it called the Million Container Challenge, the company tested what it thought was the ultimate test for its Nomad scheduler. A cluster of five Nomad servers scheduled 1 million containers in less than five minutes, a rate of 3,750 containers per second. At HashiConf this week, Citadel’s Caius Howcroft talked about its own test with 18,000 cores and 2.2 thousand containers per second over five hours. At HashiConf a year ago, Hashimoto declared the Vagrant deployment automation tool outdated and named its successor, Otto. Built on top of Vagrant, Otto would determine the best possible configuration for the application being deployed, given the constraints of the system it was running on at the time. He called it a fundamentally different tool from Vagrant, but Vagrant 2.0 was in the pipeline. It still is, but last month the company decommissioned Otto, which was meant to leverage other HashiCorp tools. It didn’t gain the traction the company had hoped. “Otto’s development and prototyping revealed previously unknown challenges. While many of those challenges were addressed, and equal number uncovered architectural limitations of the tool. This was the initial signal that Otto’s design was flawed,” the company said in a blog post. 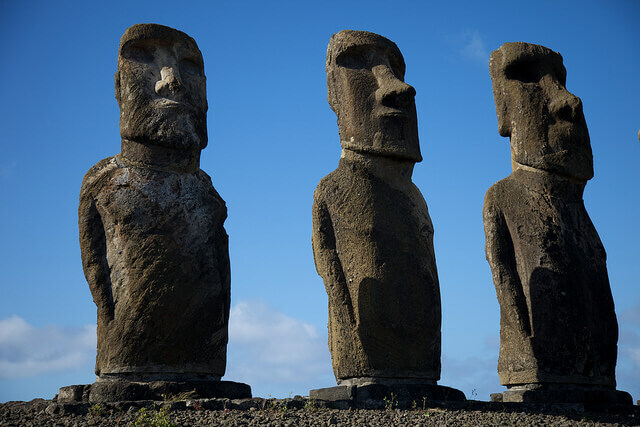 Feature Image: “Easter Island Ahu Tongariki” by Nicolas de Camaret, licensed under CC BY-SA 2.0.